In 2015, like always there was good and bad news linked to the mining of precious metals and gems. But whether the news was happy or sad, we couldn’t help but notice the courage and creativity of all those people who are working to create a more responsible jewelry industry. Here are eight of the most important ethical jewelry stories from the last year, along with some of the people and groups that made a difference. 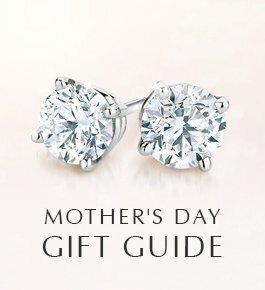 The Issue: A civil war in the Central African Republic that is being fueled by diamonds continued into its third year. Thousands have died and hundreds of thousands have been displaced. Fighting broke out again in October. 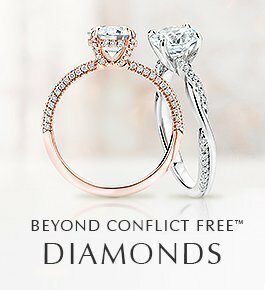 Making a Difference: Amnesty International raised the profile of this latest blood diamond war by writing a comprehensive report on the role of diamonds in the conflict. Pope Francis, risking his own safety, visited the country to urge reconciliation between warring religious factions. Welcome to the fight against blood diamonds, Pope Francis. The Issue: The 84 countries in the Kimberley Process (KP), the international diamond certification scheme, chose the United Arab Emirates to be its leader in 2016. The choice was a slap in the face to NGOs that have demonstrated how Dubai is a haven for shady diamond deals that rob African governments of tax revenue. Making a Difference: The NGO coalition that participates in the KP announced that it would boycott the diamond certification scheme in 2016. NGO leader Alan Martin said the KP had crossed a “red line.” We’re glad that NGOs are standing up against practices that keep diamond-producing countries in poverty. The Issue: In August, experts for the Environmental Protection Agency inadvertently triggered an enormous toxic waste spill at an abandoned gold mine in Colorado. The spill released enough toxic waste in a single day to fill 60,000 bathtubs and turned the Animas River orange. Making a Difference: In covering the spill, the news media drew national and international attention to the problem of dirty gold mining. Earthworks, an environmental group, responded to the spill by campaigning for mining reforms. The Issue: The Ebola outbreak that began in early 2014 has caused more than 11,000 deaths primarily in Sierra Leone, Liberia, and Guinea. The outbreak traumatized a region still recovering from the blood diamond wars of the 1990s. Making a Difference: Health workers, educators, government leaders, and many other people and institutions mobilized against the outbreak and defeated it. Sierra Leone, the region’s largest diamond producer, was declared free of Ebola in November. 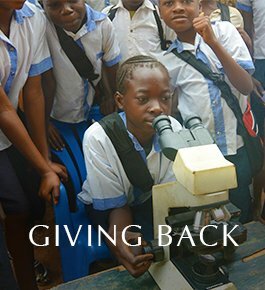 The bittersweet victory gives diamond-mining communities affected by the epidemic a chance to move forward. The Issue: Diamond diggers in Africa live in extreme poverty, usually earning no more than one or two dollars a day. Families bring their children to work in the diamond mines, exposing the children to safety risks and depriving them of an education. Making a Difference: The Diamond Development Initiative (DDI) launched an innovative pilot program in the Democratic Republic of Congo to help get children out of the diamond mines and into new schools. 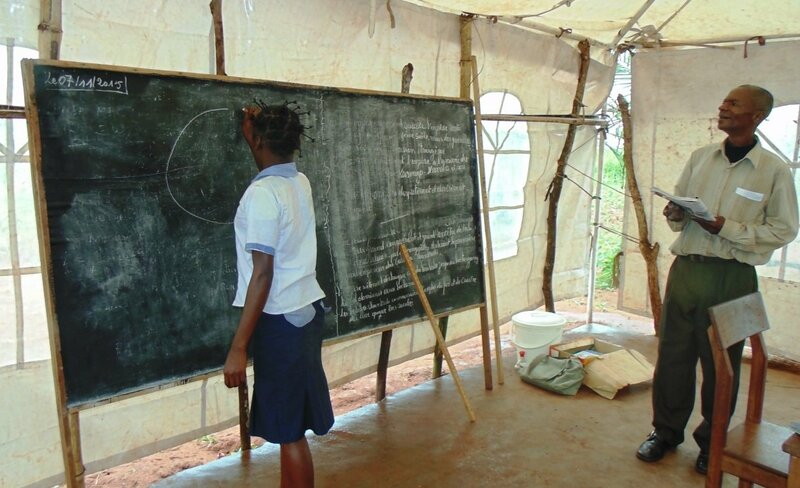 DDI’s first school, funded by Brilliant Earth, opened in July. The program, profiled in Time Magazine, is now expanding. The Issue: Millions of artisanal and small-scale gold miners work in dangerous conditions, rely on mining practices that pollute the environment with toxic mercury, and earn so little money that they often live in extreme poverty. Making a Difference: Fairmined gold, an initiative to certify gold produced by responsible gold mining cooperatives, expanded to six more mining cooperatives in Latin America. And in fulfillment of hopes we expressed a year ago, the Nobel Committee took the symbolic step of making the Nobel Peace Prize out of Fairmined gold. The Issue: Supported by income from jade and rubies, Burma’s military has ruled the country with an iron fist for decades. The Burmese military has used its jewelry revenue to wage war on ethnic minorities and keep power. Making a Difference: Democratic opposition leader Aung San Suu Kyi won a landslide election in November, ending military rule. However, an investigation by Global Witness found that the military earns $31 billion per year from selling jade, equal to half the country’s official GDP. The report provides some ideas on how Burma can reform its jade trade so it can reduce the military’s power and move beyond its dark past. The Issue: For years, Angola’s diamond industry has been tainted by violence and corruption. When an Angolan journalist, Rafael Marques de Morais, exposed how senior army generals were complicit, Angola’s government accused him of defamation—and convicted him. Making a Difference: Marques showed incredible courage in opposing Angola’s authoritarian government. People around the world also came to his support. A free press group gave him an award. A New York Times columnist wrote about his plight. A coalition of individuals and organizations, which we joined, also petitioned the Angolan government to drop the charges. The attention did not stop the trial, but it may have helped Marques avoid a stiffer penalty than the suspended sentence he received. The people and groups above represent only a fraction of those who are acting in positive, inspiring ways—and making a difference. 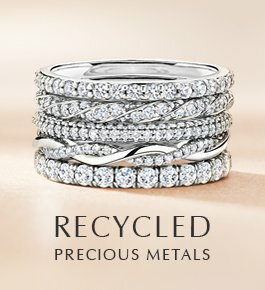 Over the long term, we know that their efforts will help the jewelry industry become more responsible and benefit everyone involved. Great work Brilliant Earth helping/supporting ethical standards in the making/collection of gems and jewellery so many of us love and want to purchase in confidence all peoples involved receive a safe workplace and fair wage. 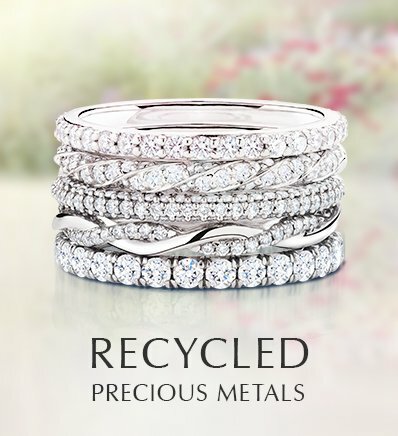 Very interesting article…very glad that ethical jewelry stories exist! 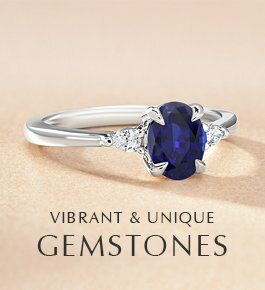 Hi Kim, we have a wonderful collection of one-of-a-kind rings. 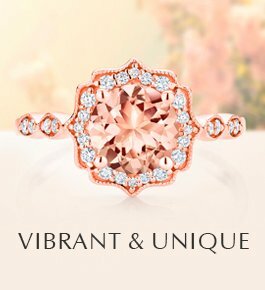 You can view the vintage collection here: http://www.brilliantearth.com/antique-engagement-rings/. Thank you for your interest! I applaud your commitment and your actions.Also I am without words to express how great it is what you are also doing for the education of people, all types. Thankfully there’s people out there like you.May GOD bless you &Yours. P.s .I live in a gold rich area (N. CA )&love to go prospecting. Really informative articles about the industry. 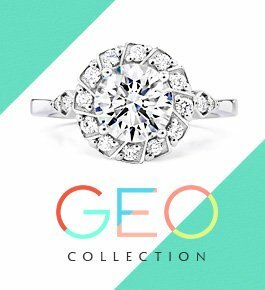 The first one reminded me from the movie ”blood diamond” which i recommend for everyone to be watched right after reading this blog!